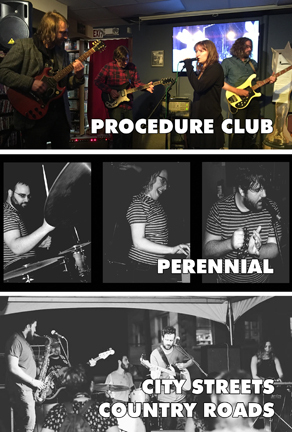 Procedure Club, Perennial and City Streets Country Roads play Best Video Performance Space on Thursday, May 17. 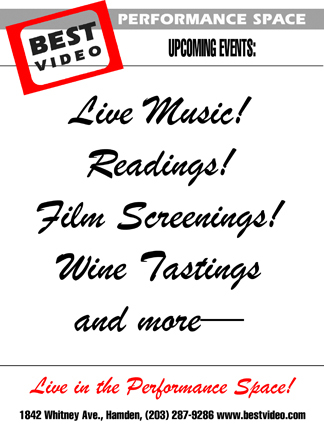 The show starts at 7:30 PM and the cover is $5. Procedure Club is a band from New Haven. They formed in 2007, and had releases on Slumberland Records, Sixteen Tamborines (Japan), and Beko Disques (France) and others. The group is led by Andrea Belltower (vocals) and Adam Malec. Their most recent record, “Pinky Swear,” was released on Safety Meeting Records in August, 2016. “Pinky Swear” is Procedure Club’s follow up to their Slumberland Records release, “Doomed Forever.” With undercurrents of haunting airiness and mechanical instability, Procedure Club’s latest work is like a ghost driving the Beast Of Turin through a hailstorm. The song structures consist of heavily reverbed melodic vocals, stuttering mechanized drum beats, dirty bass, synths, and alternately washed-out and jangly guitars. Perennial is the new sound of the avant-garde. Hailing from New England, the art punk band’s debut album is entitled “The Symmetry of Autumn Leaves.” Their performances are brief, sharp, and ecstatic. Their influences include The Creation, Otis Redding, and The Raincoats. City Streets Country Roads is a grunge folk group from New Britain, CT.